In a decisive response to the New York Times piece on the multiple women who have accused Louis CK of sexual misconduct, HBO has dropped the comedian from the upcoming autism benefit special Night Of Too Many Stars and will also be pulling his previous HBO projects—including stand-up specials and the short-lived comedy series Lucky Louie—from its streaming services. This comes from Deadline, which says pages for CK’s specials and Lucky Louie have already been removed from HBO’s website. Similarly, searching for his name on HBO’s streaming apps already seems to turn up nothing, meaning HBO was very quick about cutting all ties with him. This comes as the premiere of his new film, I Love You, Daddy, was canceled in advance of the New York Times story, with distributor The Orchard later saying it was “giving careful consideration to the timing and release” of the movie. 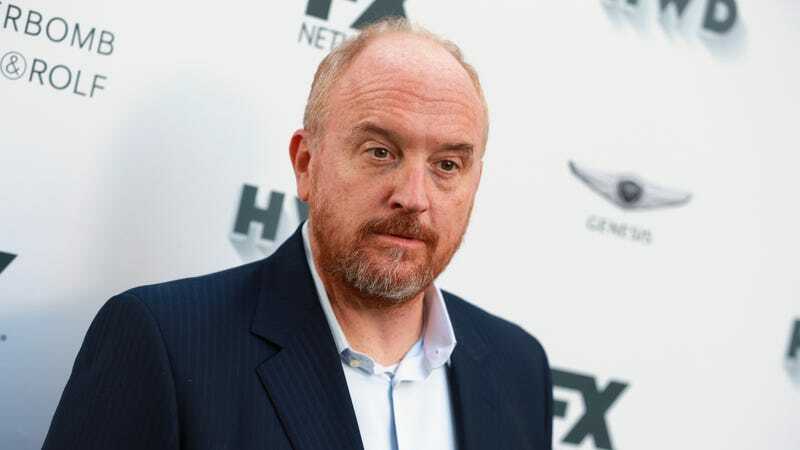 Mike Schur also apologized for putting Louis CK on Parks And Recreation despite being aware of the rumors about him, and Tig Notaro confirmed that a particularly pointed storyline in her Amazon show, One Mississippi, was about Louis CK’s alleged behavior. Netflix has also taken steps to distance itself from House Of Cards star Kevin Spacey after allegations have come out that he sexually assaulted multiple underage boys. The streaming service initially halted production on the show’s sixth and final season, but it later confirmed that Spacey had been fired.